The ground for Max IV Lab was first broken in 2010. Max IV is a research facility for nuclear physics, accelerator physics and research using synchrotron light. 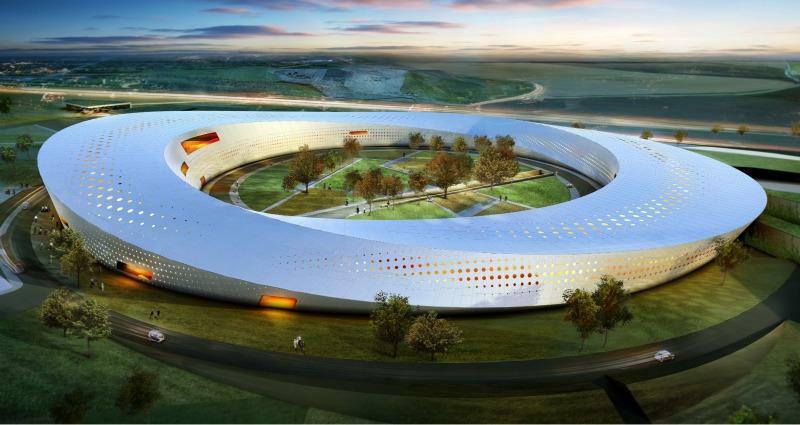 The project is divided into two lots: A 400 m long tunnel for the linear accelerator creating the synchrotron light rays. And a circular 10-12 m high building with a 600 m circumference. In all, the project area will cover 44,000 m². A total of 40,000 m³ concrete is required. Once commissioned in 2015, the Max IV is the best synchrotron light system in the world. Thank you for your interest - Max IV Lab. Thank you very much for your interest - Max IV Lab.